If you make the calibration pose, you should be able to see your joints. 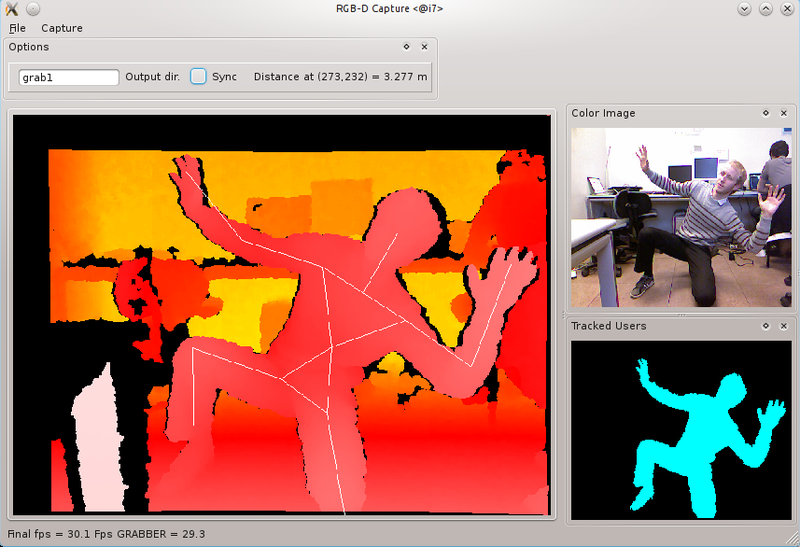 If you are interested into a minimal body tracking example, you can have a look at nestk/tests/test-nite.cpp. Enable the NESTK_BUILD_TESTS cmake variable to compile it.